That was nearly a season ending mistake. 12 12 15 15 18 12 0 15 25 12 = 136. The start of the race saw front row starter Vettel into the lead at turn 1 past pole man Bottas, these were followed by Raikkonen and Verstappen. However the opening lap saw 2 separate collision which brought out the safety car, the first when Magnussen pushed Vandoorne into Ricciardo who spun and then had to change a damaged wheel whilst the other 2 drivers retired with damage. The second incident saw Grosjean spin and crash out Ocon whilst trying to defend his position, this put Ocon out of the race and earned Grosjean a 10 second stop/go penalty. The highlight of the race were the recovery drives of Hamilton and Ricciardo, Hamilton starting from the pit lane after crashing out in qualifying, and Ricciardo starting 14th after a 10 place engine change penalty plus stopping after the opening lap for fresh tyres to replace a damaged tyre. 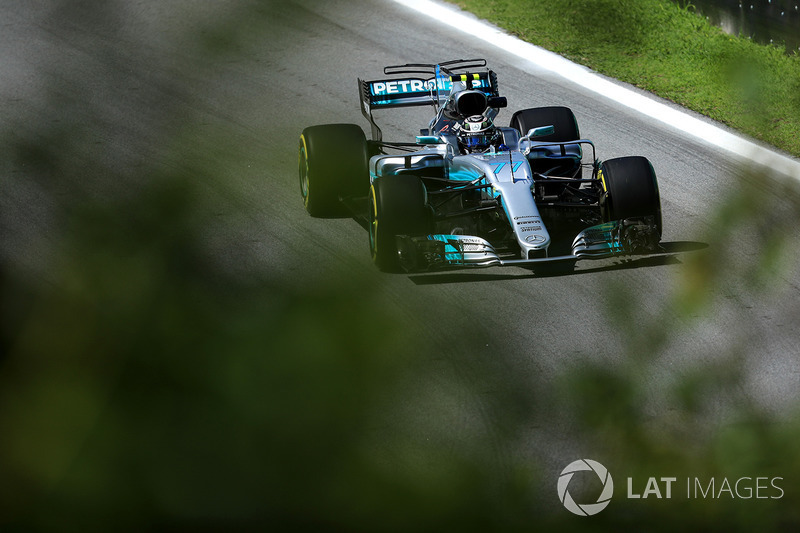 Hamilton made his way through to finish 4th after passing Verstappen near the end of the race and was only 5 seconds from the race winner Vettel whilst Ricciardo finished 6th, the final podium finishers were Bottas in second and Raikkonen in third. In third place with 153 points and receiving the "Reliant Raikkonen Trophy"
In second place with 155 points and receiving the "Battling Bottas Trophy"
In first place with 158 points and receiving the "Victorious Vettel Trophy"
Last edited by pokerman on Sun Nov 12, 2017 8:39 pm, edited 1 time in total. I fear I left myself a bit too much to do now in Abu Dhabi. Probably gonna need to go all-in now with some wild predictions. Well I thought maybe top 5, but I never expected to win!! Finally my luck is in! 17 points is not a lot, just the difference between you getting 1 extra driver in the top 10 than mcdo. You finished 2nd last year as a rookie emulating what Hamilton did and getting the Hamilton trophy to boot, this year you are going for the title which Hamilton won in his second year and the winner this year gets the Hamilton trophy, could this be a omen? Last edited by pokerman on Mon Nov 13, 2017 4:53 pm, edited 1 time in total. Yeah you got the big result I've been looking for these past 3 rounds to get into the top 10, we've been neck and neck for a while now. It's still very close, and you will have the advantage for Abu Dhabi as you alone can see all our picks! I believe such things only really work when you are trying to protect a lead against one or two players, I'm in the middle of about 10 players were my position could go up or down, it would be quite impossible to plot any kind of tactical advantage. All I can do is what I've done all season and go with my gut feeling and hope it turns out well for me. Yeah, but it's different for the last race. You'd be virtually guaranteed the championship if you copied his picks for Abu Dhabi, whereas it's much less significant at any other race. OK, I will probably fall out of top 20 at the end with my luck. And I was something like 6th or 7th halfway through the season . Anyway, here goes. Firstly, thanks Pokerman for running the competition. Hope I can crack into the top 10!